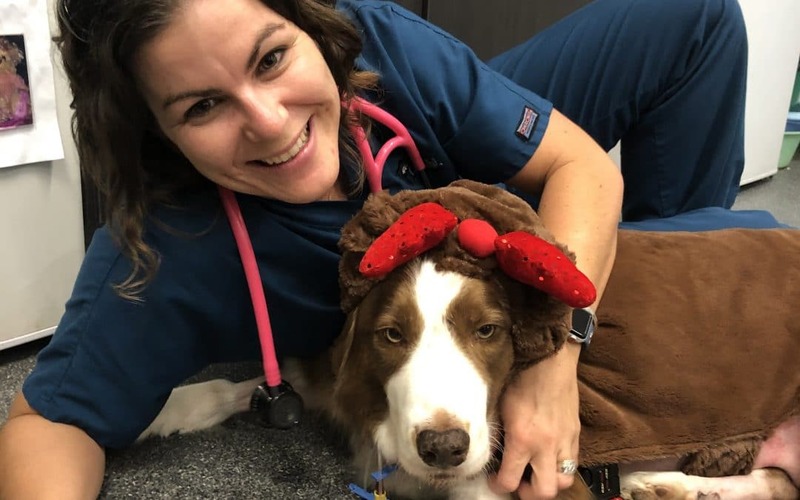 Meet Zoe Webb, she is a founding member of the Pet ICU, a core nurse in our team based at Underwood and has over 20 years experience in the industry. We sat down with Zoe to ask her about her time with the Pet ICU and why she got into the veterinary industry to begin with. Here’s what she had to say. When did you join the Pet ICU? I have been a founding member of AES/Pet ICU since it first began. What drew you to helping animals? I started out loving animals from a very young age. When it finally came time for me to apply to places for work experience in grade 11, I begged my local veterinary clinic while on a regular visit with my family cat, to let me spend a week with them. They agreed to take me on for the week through the school work experience program. I absolutely loved the week I spent with them although it ended so quickly! And I knew then that I wanted to pursue nursing once I finished grade 12. How did you end up in Emergency Medicine? 2-3 weeks after the school work experience, I received a call from the practice manager about helping as a kennel hand and hydro-bathing on Saturdays. I jumped at the chance to learn everything I could and continued to work at the practice for many years. After about 4 years, the practice manager left to work at an emergency centre, and was soon followed by a number of other nurses I had worked with. I asked if I could undertake some on call shifts at the emergency practice. I was extremely nervous, but also very excited. It wasn’t long before I began working there more frequently and soon enough became a full time staff member. I developed a love for the emergency and critical care cases and learnt everything I could on the job. Eventually, the emergency practice was purchased by the current directors, and the practice moved to Underwood. It was at this time that the Pet Intensive Care Unit began and I am so proud to be one of the founding nurses. Compared to other hospitals, what is the best part of working in the Pet ICU team? As a founding member of the Pet ICU, I continue to I strive to have a complete understanding of all of my patients conditions so that I can ensure they receive the highest level of care. I love every part of my job. The most rewarding is seeing those patients go home that we weren’t sure were going to make it. I enjoy interacting with our owners and being there for them when they have to leave their beloved family member with us. The sad times are difficult but we have such a great team of vets and nurses that support each other. Together we will continue to provide the highest level veterinary care.